Campus Center Way, Amherst, MA 01002. Parking is available in the Lincoln Campus Center Parking Garage at a reduced rate of $6.50 per day. We will give you a parking voucher when you check-in at the conference registration table. Parking is also available in the UMass Amherst Visitor Parking Lot off of Massachusetts Avenue, located about .6 miles/950 meters away from the Student Union/Campus Center. Here is a UMass Campus Parking Map. 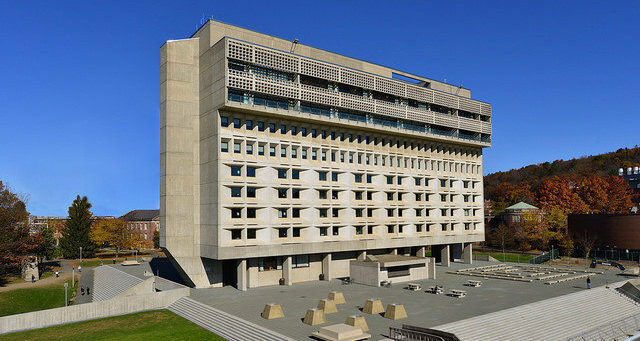 All of the conference programming will take place in the Campus Center at UMass Amherst. All floors of the Campus Center are accessible by elevator. All on-campus dining options are located on the first floor of the Campus Center. Bradley International Airport Bradley (Hartford/Springfield) is 45 miles south of the University. Logan International Airport Logan (Boston) is 90 miles east of the University. Greyhound 800-229-9424. Serves Springfield, Mass. Pioneer Valley Transit Authority 413-586-5806. Local service is free to students, faculty and staff from UMass, Smith, Amherst, Hampshire, and Mount Holyoke Colleges. Peter Pan Bus Lines 800-343-999. Services Amherst, Mass. Amtrak for schedules, or call 800-872-7245. Valley Transporter 800-872-8752, provides airport transportation services. Seemo Shuttle 413-586-1120, provides shuttle service to and from Bradley, Logan, and New York airports. Exclusive Car Service Inc. 877-695-4665, provides private car services to and from Bradley, Logan, and New York airports. Bluebird Transportation 413-221-4512, provides airport shuttle and car services from Bradley, Logan, and JFK airports. Michael’s Limousine & Transportation Service 800-533-8470, provides transportation services to and from Bradley, Logan, and JFK airports throughout the local area. T Valley Cab 413-461-3545, provides regional and local transportation. Celebrity Cab 413-253-7330, longest standing cab company in Amherst. Provides regional and local transportation. Taxi Express 413-977-0769, reservations available online, open 24/7. Provides regional and local transportation. Parking is available in the Lincoln Campus Center Parking Garage at a reduced rate of $6.50 per day. The entrance to the Campus Center Parking Garage is at the top of the hill on the right, off of Campus Center Way. Rideshare/Roomshare Email List: If you are interested in sharing transportation or lodging with a fellow participant, you can use the conference’s Rideshare/Roomshare email list to contact other interested participants and coordinate your travel planning. Click here to join the Rideshare/Roomshare list. On that webpage, complete and submit the subscription form. Check your email for a confirmation message–this prevents others from gratuitously subscribing you. Once you click the link in the confirmation message and your confirmation is received, your subscription request will be held for approval by the list moderator, and you’ll receive a final email once you are officially subscribed to the list. This is also a private list, which means that the list of members is not available to non-members. All of these steps help to protect your privacy and ensure the integrity of the list. Join our mailing list to receive the latest news and updates from CMind/ACMHE.